TVC proves a distributor's value doesn't just mean product availability and delivery. Distribution today has to be a multiple resource partner for true value added products and expert solutions for product integration and deployment. The supply chain must be managed efficiently, customer problem solving the highest priority and quality ensured throughout for network optimization. 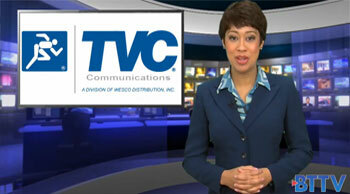 See why TVC Communications is your distribution and solutions provider.